This weekend I was able to pop in to the State Capitol Building - a great place to sketch in the middle of winter. And fortunately it's open on weekends as well as weekdays. Our capitol building is a stunning piece of architecture with marble hallways and arches upon arches. It's particularly lovely to view the interior in festive array. 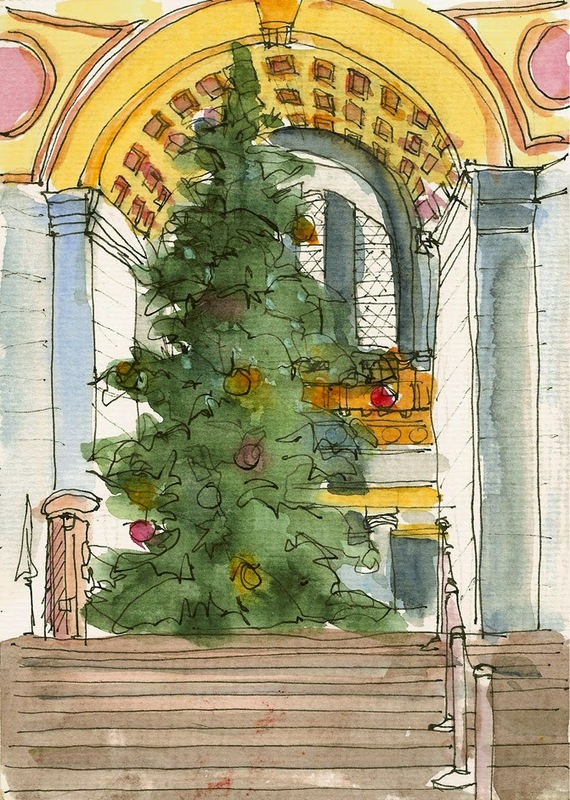 The Christmas tree, at least 25 feet tall, rises just beneath the dome in the rotunda and contrasts with the cool marble walls.